UCT’s 2018 Varsity Cup pre-season kicked off in the gym last November and concluded with the Ikeys Run for Hope in mid-December, an 80km charity run through the streets of the city to raise money for the Movember Foundation, as well as Periods for Hope. Given that the dress code for this run included Frankees underwear and face paint, 2 heavy months in the gym proved to be the perfect preparation. 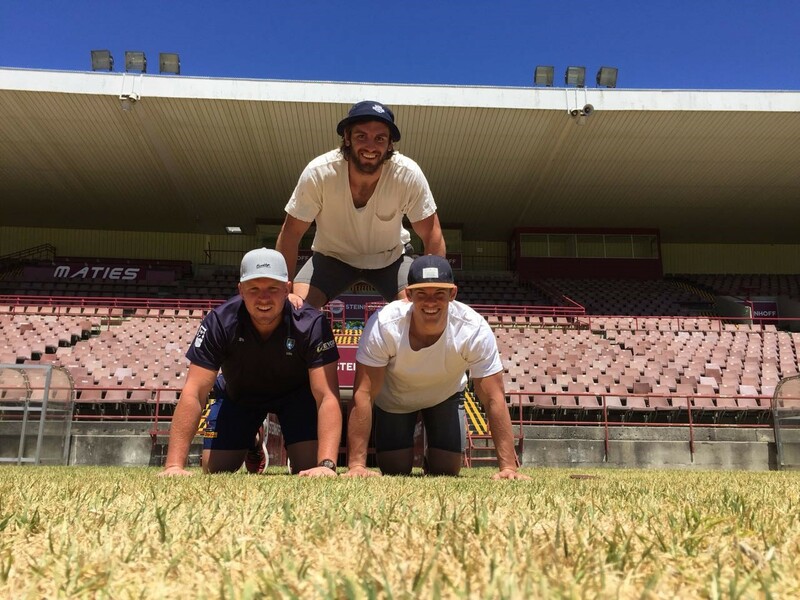 The assault on our opposition commenced in earnest in early January with a tough training camp at the Stellenbosch Academy of Sport. A highlight of the camp involved an amazing race through Stellenbosch town, which included a number of marriage proposals outside Moeder Kerk, protest action at Steinhoff and a flash mob in the mall. The team travelled back to the Danie Craven a few days later for a warm-up game against Maties. Despite being comprehensively beaten, the team took some great learnings from the game that would be instrumental later on in the campaign. The Varsity Cup competition kicked off at the end of January, with a frustratingly narrow loss to Wits. This game seemed to spark something amongst the players, who followed this up with a win on the road against NMMU, securing the Monte Taljaard trophy for the first time in 3 years. This win was followed by consecutive home wins against NWU (their only defeat prior to the 2018 final) and defending champions Tuks. The team then lost to Maties and Shimlas, before beating CUT away and then heading to UJ for the final game of the regular season. The Ikeys needed to win with a bonus point to secure a semi-final position and came agonisingly close. A penalty in front of the posts on full time, would have given the Ikeys their 5th win in 8 games, however with only 3 tries secured at that point, the team kicked for the corner and went through 20+ phases before being bundled into touch. The playoffs were not meant to be for the 2018 Ikey Tigers, however momentum is definitely with this young side and we wait in anticipation for what they can do in the league this year, as well as in next year’s Varsity Cup.